When choosing a bed, there are so many factors to consider. Not least of these is whether your dog will actually find it comfortable! At Me & My Pets we have spent countless hours developing and testing our beds to ensure that they are loved by dogs the world over. Offering some of the best value beds in the UK, our selection ranges from luxury, soft padded beds, durable woven basket-style and large, waterproof raised beds for those dogs who seem to always be covered in mud! 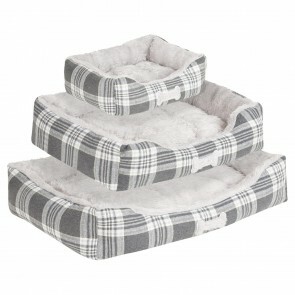 Many of our beds are washable or easy-to-clean, and we sell a range of sizes to suit multiple dog breeds.